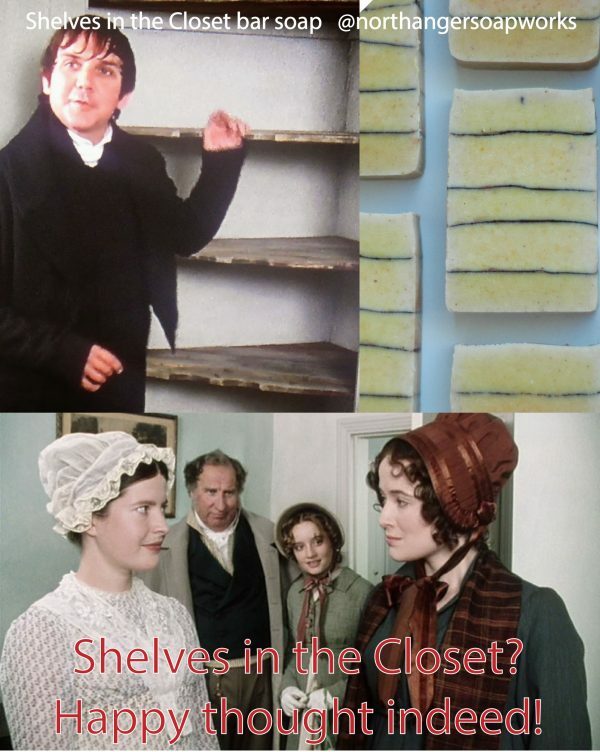 Home / Northanger News / Shelves in the Closet day! Sometimes, all a girl really needs is a shelf. In honor of this special occasion, I have a new batch of Shelves in the Closet bar soap curing and waiting for its debut in April. Until then, there are only 2 bars left in the shop! Make haste!